"MISSION COMPROMISED. CAPTAIN BLAYNE MISSING. SHIP SABOTAGED. REQUEST MEDI . . ."
The distress call is only a fragment, but it is clear that the starship Telemachus needs help. Well-known pilot and astronaut Jeremy Crane is sent to rescue–or recover–the stranded crew. Ninety-two light-years away on Earth-like New California, Crane finds not one, but two intelligent humanoid species. There he discovers a new love, a new faith, and a secret “Message” that could save humankind. He also runs head on into deception, intrigue, and murder, all the while confronting his own personal demons. 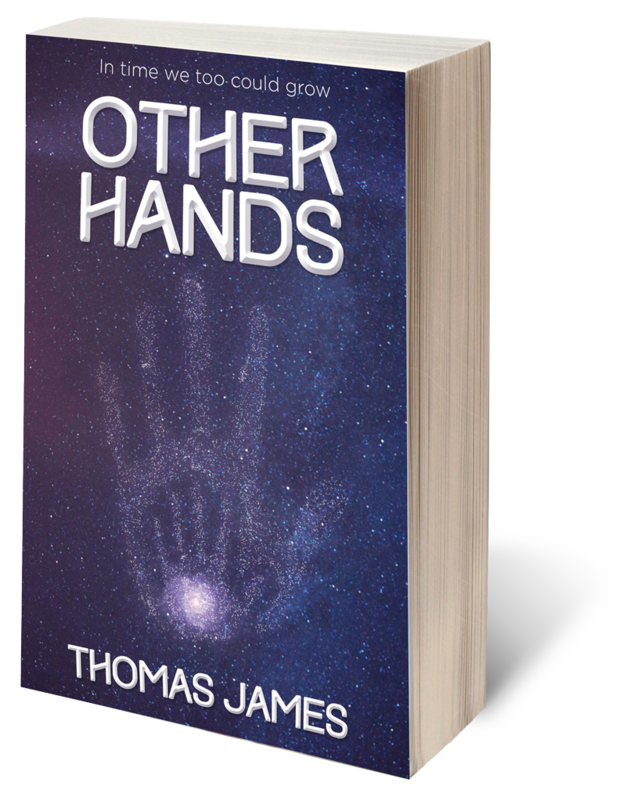 With Other Hands, author Thomas James explores the mysteries of the cosmos and delves into the inner recesses of the human psyche. Mr. James offers a captivating and thought-provoking novel, taking readers to a place where science, technology, spirituality, love, and madness collide.